Within the cities of Huntsville and Madison their are numerous greenways open to walkers, runners, and bikers. As our community grows these recreational spaces become more important as they connect people to neighborhoods, schools, work, and parks. What follows is a guide to the existing greenways, multiuse paths, and neighborhood trails throughout Huntsville in Madison. Here is how I will define greenways, multiuse paths and neighborhood trails for the purpose of this guide. Greenways are wide paved trails built by the city that are away from roads that typically follow some sort of creek or river and they usually connect to schools, parks and neighborhoods. Multiuse Paths wide, typically paved, sidewalks that parallel a road and are normally built as part of the construction of the aforementioned road. 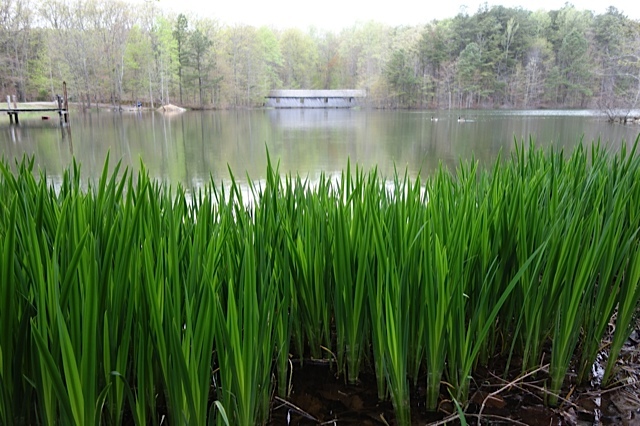 Neighborhood Trails are built by the housing developer and run through the a neighborhood or around a water feature like a small lake or man made pond. Not all HOAs appreciate non residents using their trails so be sure to check before partaking or live dangerously. The map that we have created here shows the location of greenway as well as many of the significant multiuse paths and neighborhood trails. For each of those there is brief description and a link to a more in depth sub articles with news, updates, and speculation. For a link to the full map click here. Since writing the first greenway guide I have learned a lot and have made some good connections with city officials in both Madison and Huntsville and from them I have learned a few things. One thing I have learned is that when it comes to constructing greenways the city plays the long game. Since a lot of the greenways run next to rivers and creeks that have to built well or they will be washed away very quickly which is why the city chooses to build premium greenways that will stand the test of time to the tune of million dollars a mile. My Second take away is that building a greenway network that connects to things is important to the city and to developers. You put a greenway just about anywhere and people will drive to and use it to get their daily miles. But if you put that same greenway in a places where people can use it to get to work, take their kids to school, or go grab dinner it reduces traffic, promotes a healthy life style, and make neighborhoods safer. The city of Huntsville's has partnered with the Land Trust of North Alabama to create a new master plan for greenways. Just like the old plan from 2006 the new proposed master plan call for over 180 miles of dedicated greenways and or crushed gravel trails. I don't think that all 180 of those specific miles will ever be built but over time some version of them all may. As mentioned earlier every mile costs on average one million dollars to build so at that rate, not taking into account the existing network or inflation, a full greenway network will cost the city 180 million bucks. Not to long ago the Huntsville City Council voted to increase the sales tax a 1/2 cent to generate 25 million dollars a year for road projects. The city has said that any surplus above that 25 million, which there is projected to be, will be used for city parks which includes the greenway network which puts us that much closer to 180 million bucks. So until then Huntsville has 30 miles open right now with a few projects in the hopper. Here is the plan that was just drawn up and has not officially been adopted. You can find a legend for this map here..
One of the coolest spots on the Huntsville city greenways. The first, longest, and most used greenway in the city; though I have no statistics to back up that last claim. It longest section runs along Aldridge Creek from Ditto Landing ending a 1/4 mile before Weatherly Road on Bailey Cove Raod. The other section know as the Altwood Linear Greenway is .89 miles running along Aldridge Creek as well from the North end of the Valley Hill Country Club to Four Mile Post Road. There is a third planned and funded section that runs from Weatherly Road to Eslinger Drive ending at the south side of the Valley Hill Country Club. For those of you keeping score at home that is three unconnected section of greenway. 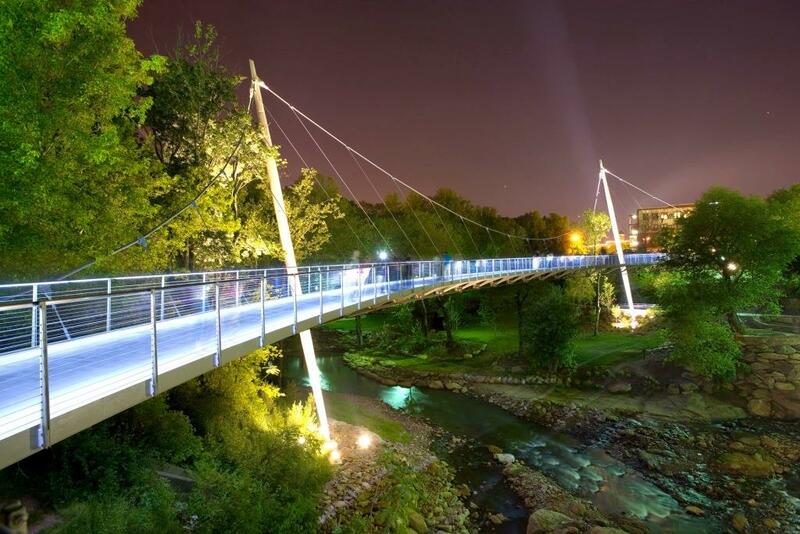 For more information Aldridge Creek Greenway and its many sections click here. 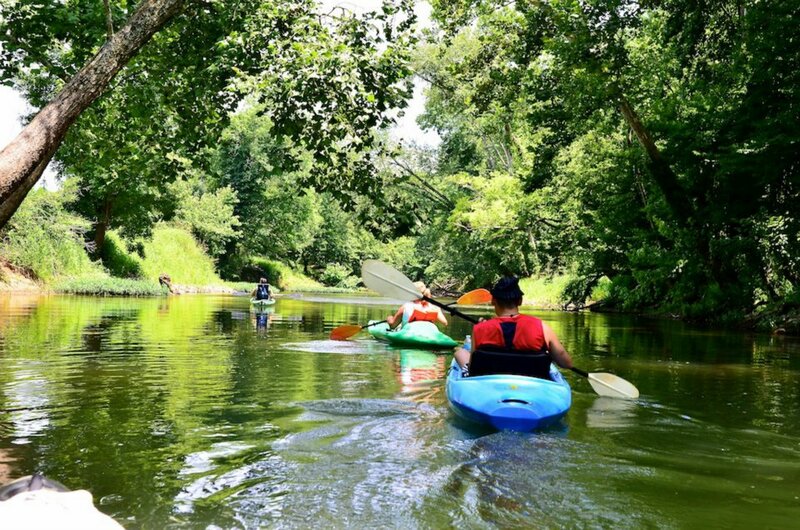 The Big Cove greenway follows Big Cove creek for 2.5 miles from a Hampton Cove Neighborhood on the east side of Hwy 431 to the Hayes Nature preserve where it changes names to the Flint River Greenway and continues on another 2 miles now following Flint river before ending at Old Hwy 431. There are four convient parking locations at Hampton Cove Elementry/Middle School, Behind the Publix Shopping Center, Haynes Nature Preserve, and off of Old HWY 431. Off of the Flint River section there are two spots where the greenway comes to "T" with one side of the "T" noticably missing. Coming from the Haynes Nature presever parking lot the first "T" is located just over first bridge and bears off to the right into an open field. 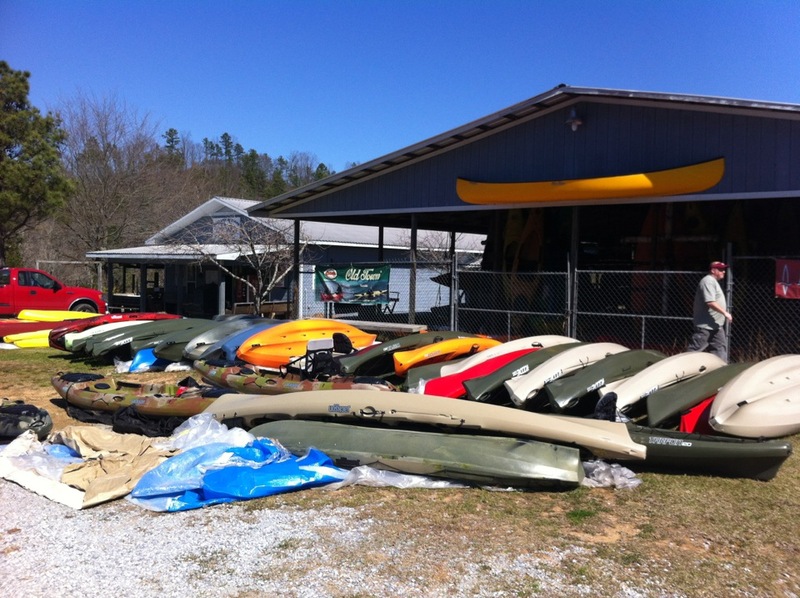 The other is located near the end of the greenway around mile 4 and bears south following the Flint River. Obviously that leaves those places open for future expansion of the network under hwy 431 to the Goldsmith Schiffman Wildlife preserve where it could connect to a short section of the Flint River Greenway that is there which not many people actuall know about. Big Spring Greenway start at the Big Spring in Big Spring Park, then around either side of the coy pond, before ending between the Embassay Suite and VBC. 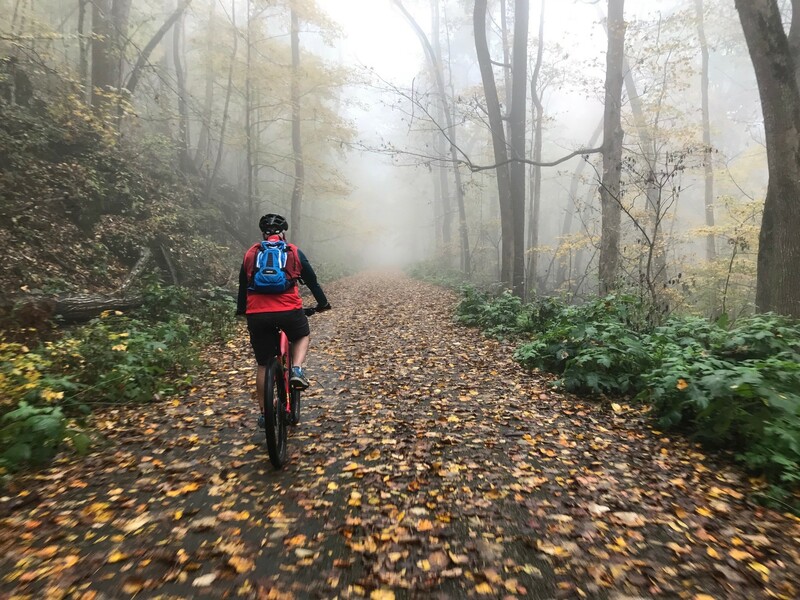 In our Greenways: Big Picture article we go in to more detail about some possible future expansions. One of those expansion has moved a step closer to reality thanks to the city's application for a Federal TIGER Grant to build a "Sky Bridge" over the intersection of Governers and Memorail Parkway to Lowe Mill and a branch north on Pinhook Creek from the Embassy Suites (Read more about that here). 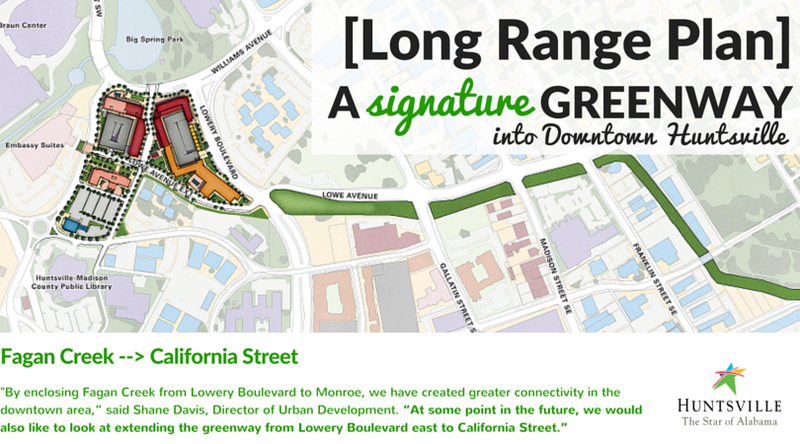 The city has also recently anouced plans to construct a greenway from the new City Center Development (The old Holiday Inn) to California Street following Fagan Creek. 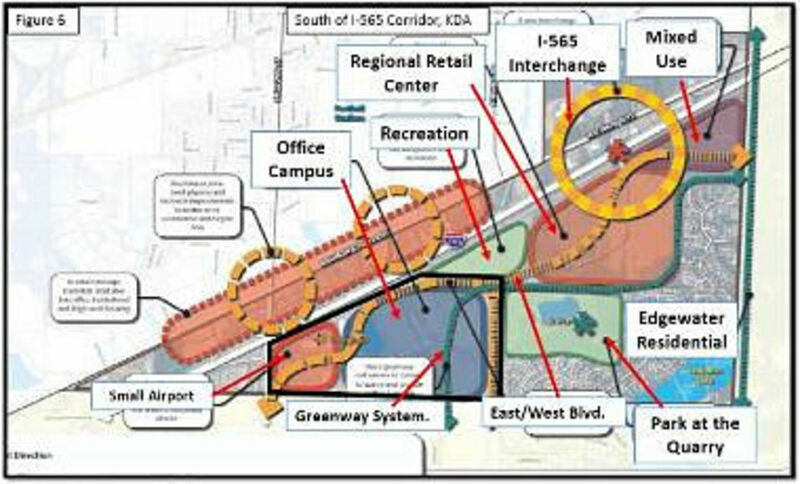 This yet to be constructed greenway, which has been funded by the city, will run under Interstate 565 from near the new Cabela's to new Redstone Gateway complex. 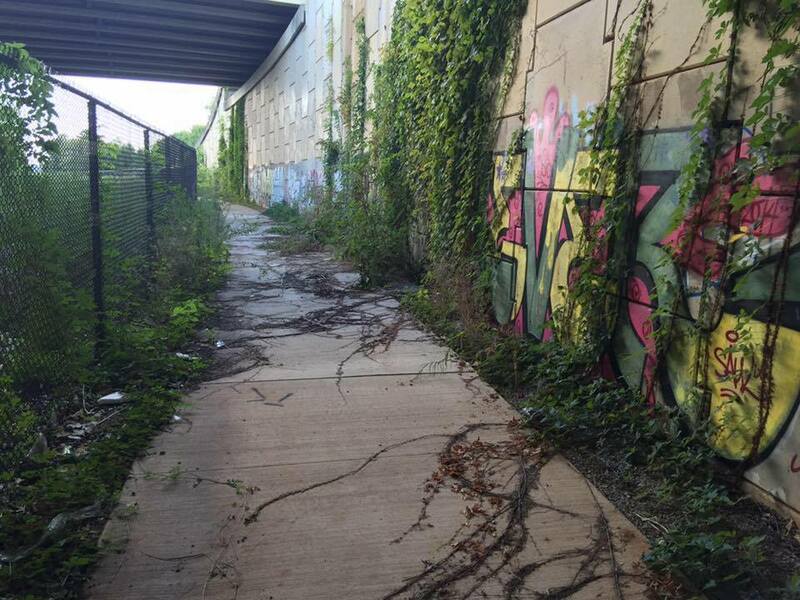 This will be the first greenway in the city to traverses under a major road way. 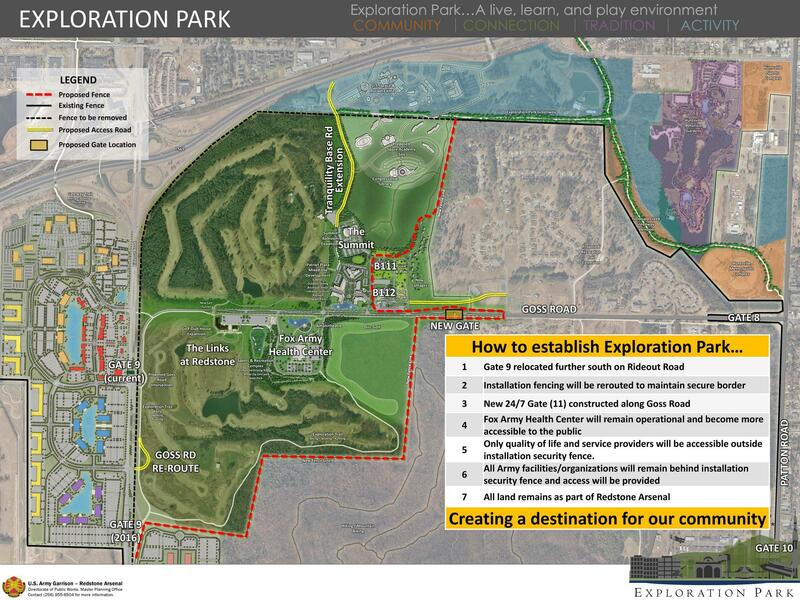 The most recent proposed maps show it starting at a yet to built parking lot off of Governors Drive West with no proposed way to traverse the railroad tracks that prevent it from connecting to Research Park and the Indian Creek Greenway. The challenge here of course is crossing the busy rail road tracks which may be cost prohibitive. Gateway greenway is the shortest greenway in the entire network. It runs from The War Memorial near the round house to Meridian Street near the parking lot adjacent AM Booth's Lumberyard. From its end there is a second unattached section called the Bud Cranmer Greenway. From This greenway you have access to multiple bars and restaurants as well as a dog park. Indian Creek Greenway located on the edge of Huntsville and Madison running starting at Old Madison Pike it runs 2.89 miles northing going under Farrow Road before abruptly ending near the Mid Towne on the Park Development. From this greenway you have acess to Columbia High School, Cummings Research Park, and Creekwood Park. Just like Aldridge Creek it has a currently unconnected section of greenway located in the Providence mixed use development. It runs from US Hwy 72 to Providence Elemenrty Shcool. From this greenway you have access to all of the shops and business located in providence as well as the aforementioned elementry school. Indian Creek plays heavily in Cummings Research Park Master Plan as well with new porposed connections and trails (Read more about that here). I have a more in depth write up about Indian Creek Greenway here: Indian Creek Greenway. Located behind Fleet Feet, the best running store in town, this short greenway runs from Four Mile Post to Bailey Cove road. 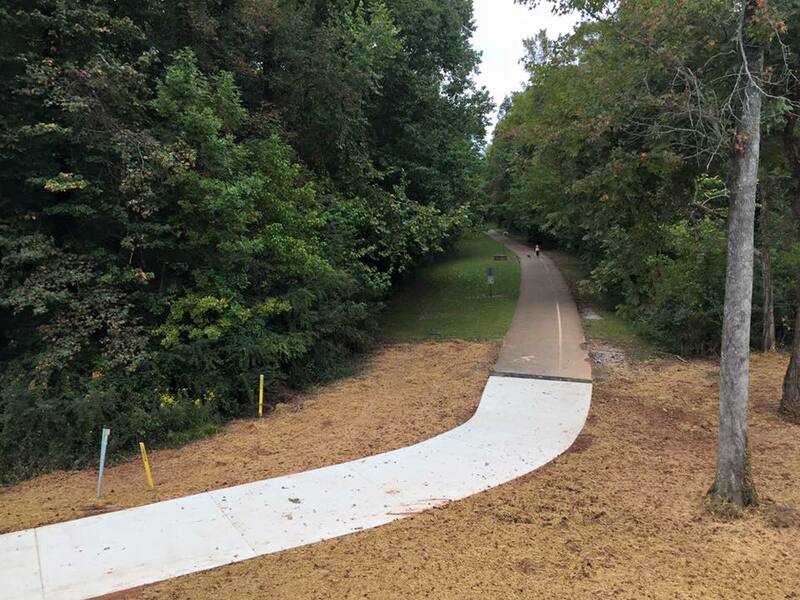 For more information about it look at our Aldridge Creek Greenway article by clicking here. Little Cove Greenway Starts near the Hampton Cove Middle School from the Big cove greenway and parallels Old hwy 431 for 5 miles. Little Cove could technically be called a multiuse path but since Huntsville classifies it as a greenway then we will too. It connects to multiple neighborhoods some of which offer neighborhood walking trails that you can run through. The greenway eventually ends abruptly ending when it reaches the Flint River. If the urban sprawl contunes east the city could justify building a pedestrian bridge over the river to continue the greenway but would eventually need to partner with the city of Gurley. 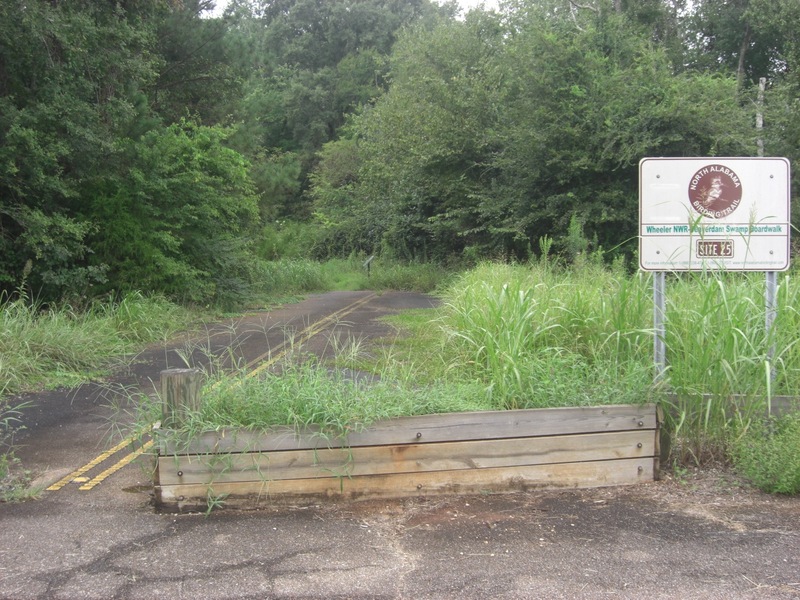 To use this "Jogging Trail" you must have access to Redstone Arsenal. Running From the Wellness Center on Digney Road this paved trail makes a big U within the Arsenal ending at the Links at Redstone Golf Course. It is the currently the longest contiguious greenway/multiuse path in the city and could possible get even longer. According to a recent AL.com article Garrison Commander Col. Bill Marks has potentail plans to move the Arsenal's fence back opening things up for development. His ambitious plan calls for two new greenways, Exploration Park and Mcdonald Creek. The current jogging trail would also get an extension and multiple new branches but this will also make part of it limited access and part of it public access. Tennessee River Greenway is located entirely inside of Ditto Landing runs along the edge of the Tennessee river. There are a lot of big changes coming to Ditto Landing in next few years some of which we've wrote about in our Space Walk article. Wade Mountain Greenway is the most isolated greenway in the entire network. 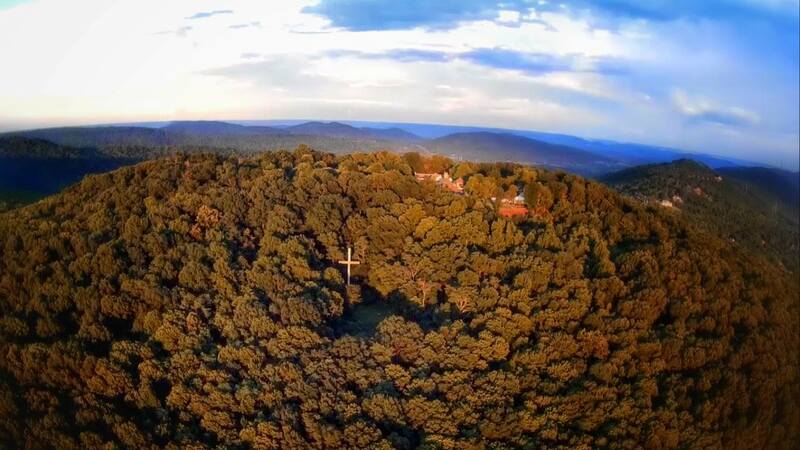 Located near the Toyota Engine Plant off of Pulaski Pike it runs from its parking lot for one mile where it ends at the Wade Mountain Nature presereve. This seldom used recreational area is a good place try out your new pair or shorty running shorts that aren't quite ready for Aldridge Creek. The Nature preserve does offer some fantastic trails that are open to hikers, runnners, and mountain bikers. Zeirdt Road Greenway, just like Little Cove, toes the line between multiuse path and greenway. It is currently being constructed as part of the four lane expansion of Zeirdt road and when complete it will run from Madison Blvd to Martin road. There is also a proposed greenway that would be constructed with the new 565 interstate exit for the Town Madison mixed use development and would technically be a Madison City Greenway. 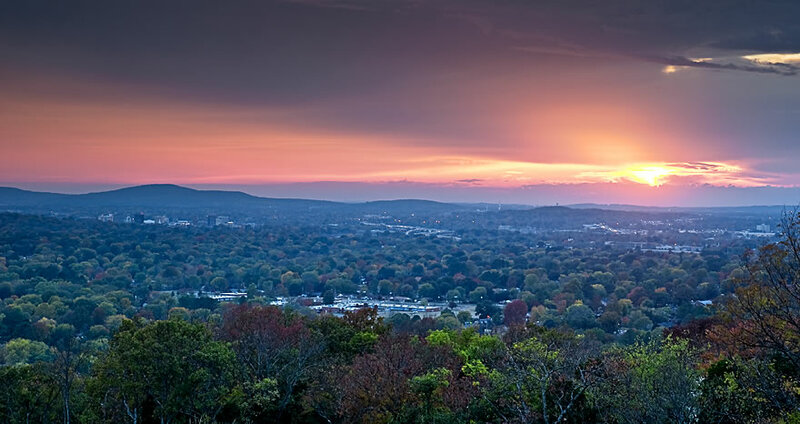 Here are few other very popular places to run in Huntsville. Research park is one of the largest research parks in the entire and is designed with with lots of sidewalks. Combine that with the many high tech jobs, close by shopping as well as its proximity to Indian Creek Greenway it has become very popular running area. This is a simple curvy one mile trail off of Johnson road. The Cross Country park is really a trail but I include it here because it doesn't fit in with what you see on Monte Sano. This three mile course is located off of Johnson/Airport Road and runs around the Hunstville City Golf Course. This whole area will see drastic changes in the coming years as the city continues to develop the land around the park into what they hope to Huntsville's version of Central park. Abandon railroad beds are great places to put trails or greenways since all of the hard work has already been done. In the Huntsville area there are two oppertunities the first is the L&N rail line which runs from downtown to Ditto Landing. The second oppertunity is an abandon railroad bed that would run from Chase Industrial Park to New Market. This would be be similar to the Elkmont, AL Richard Martin Trail. For more information on that visit the NE Madison County Rail to Trails FaceBook page. Maybe one day these will connect to the Chief Ladiga/Silver Comet Trail. The City of Madison's planned greenway network is not as comprehensive as Huntsville's but that is to be expected considering the size difference between the cities. Never the less city features some long multi use paths and two main greenways. Here is Madison Greenway Master Plan that was last updated in 2001. If you were sure that was a long time ago. Bradford Creek goes from Palmer Park off of Plamer Road to Heritage Elementary on County Line Road. Running next to Bradford Creek the greenway intersects with Mill Creek Road and where a multi-use path that runs along Mill Road starts and connects to the Mill Creek greenway. The bridge located here is to be replaced and when it does it will have a pedestrian under pass and possibly another small parking lot. Hopefully at that time they will extend the Mill Road multi-use path to County Line Road. Mill Creek Greenway is a short greenway that runs from Mill Creek Road, under Balch Road to Browns Ferry Road. This short greenway is attached to Mill Creek Park which features a dog park. The Greenway could be expand further North in the future if/when the old bridge on Browns Ferry that crosses over Mill Creek is replaced. Dublin Park offers a small network of paved trails weaving between their many soccer fields. The North end of the park has two hills that are a very good place to get in a hill workout. Upon completion of the current county line road improvements there will be a multiuse paths along both the east and west sides of the road. The east side path will be longer of the two extending all the way to Madison Boulevard while the west side will end some where near Mill Creek. Plans also call for the east path to eventually connect with the US Hwy 72 multiuse path that will be built as a part of the its expanse from four to six lanes. When finished this will be a major asset connecting all of the many businesses, schools, and neighborhoods located along this major road. Running from almost US Hwy 72 to almost Madison Boulevard this popular multiuse path runs along the west side of Hughes road.